There’s a lot to be said, and a lot that has been said, on mental health and tinnitus. Discussions about which way the causal arrow points are potentially never-ending. Incidentally, our first podcast episode, with Dr. Rauschecker, sheds some light on this – he posits that tinnitus and depression share certain commonalities in terms of the underlying causes in the brain. 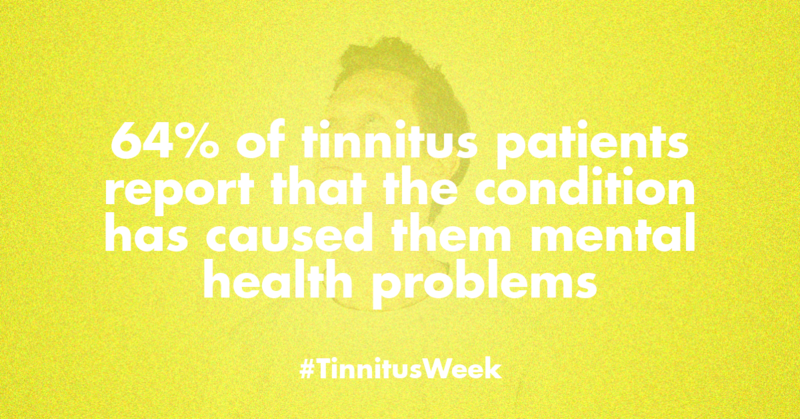 But for now, we’d like to focus on just this: How common are mental health problems among tinnitus sufferers? And how much of this can be attributed to pre-existing conditions? Our research shows that quite a few people with tinnitus (42%) did already have some mental health issues prior to the onset of their tinnitus. Mental health issues we asked about were: anxiety, depression, stress and panic attacks. Source: Tinnitus Hub Survey (2016). N = 5,163. See full details here. It’s hard to find comparable data for the general population, but according to the Mental Health Foundation, about one adult in six (17%) has a common mental disorder. Again, these figures might not be directly comparable with ours (we’d need to dig deeper for that) but our preliminary analysis seems to show that people with tinnitus are more likely than the general population to have pre-existing mood disorders. This would seem to substantiate Dr. Rauschecker’s theory that people with depression are particularly prone to developing tinnitus. But what about mental health after tinnitus onset? We also asked people whether tinnitus has caused them any (additional) mental health issues, and 64% said that it had. A different way of looking at the same data is found in the graph below, which specifies exactly which mental health issues people reported being caused by their tinnitus, with stress and anxiety at the top of the list. (*) Multiple selections possible. Source: Tinnitus Hub Survey (2016). N = 5,163. See full details here. 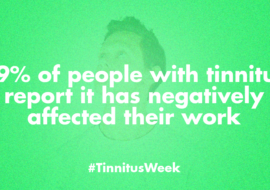 Recalling what we spoke about on Day 2, with regard to tinnitus impact being a spectrum, this once again illustrates that the impact of tinnitus can be significant, even for those who do not consider themselves “debilitated” – there is still a reduction in quality of life. A big disclaimer we need to put around this data is of course that our survey respondents – consisting mostly of people who sought help online for their tinnitus and signed up to the Tinnitus Talk forum – are probably not an accurate representation of the entire tinnitus population. In the survey we’re discussing here, 30% indicated being “constantly” bothered by their tinnitus, which is probably higher than the general tinnitus population. None withstanding, we feel it’s important to highlight the complex interrelation between tinnitus and mental health. We don’t mean to sound too gloomy here. 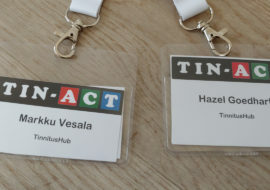 Providing tinnitus patients with hope is of course crucially important – whether this hope comes in the form of habituation, psychological counselling, coping techniques, or the promise of a cure at some point in the future. 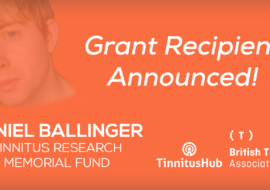 But at the same time, understanding the tinnitus and mental health nexus is important for awareness raising efforts and fundraising efforts. Furthermore, it’s a crucial factor in improving tinnitus care. After all, a healthcare professional with even a cursory understanding of the above might be less likely to tell his/her anxious tinnitus patient: “There’s nothing we can do; you’ll just have to learn to live with it.” There has to be something better to offer patients!